Our range of non-surgical face treatments are designed to improve different facial skin problems, including fine lines and wrinkles, acne, pigmentation and sun damage. We use the best available tailored treatments such us PRP Platelet Rich Plasma, Carboxytherapy, cosmetic acupuncture, mesotherapy, microneedling, dermal fillers, botox, chemical peels and more to achieve fantastic results to improve the skin on your face. Should you have fine lines and wrinkles causing you to appear older than you are feeling, or you are bothered by acne or skin pigmentation, our face treatments will help. Our treatments are a safe and yet highly effective alternative to cosmetic surgical treatment, with none of the danger and pain associated with conventional surgery. Furthermore, there is no downtime, you can go back to your normal schedule at the end of your treatment. Skin damage is increased by many factors like the sun’s ultraviolet rays that penetrate and damage the skin’s support structure. Most wrinkles are caused by sun exposure, pollution, lifestyle, throughout life – and it’s never too late to halt the process. Wrinkles at the corners of the eyes (crow’s feet) or between the eyebrows (frown lines) are thought to be caused by small muscle contractions. Over a lifetime, habitual facial expressions like frowning, smiling or squinting leave their mark on our skin. Gravity does take its toll, but something else is at work here: Over time, the skin’s underlying structure breaks down, robbing our faces of their definition, youthful plumpness, and resilience. Skin also renews itself much more slowly than it once did. Thanks to all these factors (not to mention genetics, weight changes, and sun damage), skin starts to sag and hang (that’s where jowls come from). Hyperpigmentation is excessive pigmentation or colouring of the skin. These symptoms can be caused by conditions such as vitiligo and melasma, (also known as chloasma) or pregnancy mask. Hyperpigmentation is caused by an increase in melanin, the substance in the body that is responsible for colour (pigment). Exposure to sunlight is a significant cause of hyperpigmentation and will darken already hyperpigmented areas. Another example of hyperpigmentation is melasma. This condition is characterised by tan or brown patches, most commonly on the face. Acne is a stubborn but common skin complaint, particularly during puberty, and it can be a real blight on your self-esteem. What’s more, it leaves behind unsightly scarring. It is often resistant to over-the-counter creams, but our treatments can help you get rid of acne once and for all – with minimal discomfort and little disruption to your everyday schedule. Acne treatments use a range of advanced techniques to remove acne spots and scarring from your skin, healing your skin to restore a clear complexion and boost your confidence. We have treatments to suit a range of acne and rosacea issues, whether you want to banish spots or reduce the appearance of scarring. With one of the highest concentrations of HA on the market (64mg/2ml) it is not only boosting and hydrating the skin, but also remodels the ageing and sagging tissue. Profhilo is creating a real buzz amongst the practitioners many referring to it ‘as something they have been waiting for’ or as ‘the most exciting development in injectable treatments in a long time’. Plasma skin regeneration (PSR) is a non-laser treatment that uses a device to deliver energy in the form of plasma to rejuvenate skin by improving droopy eyelids, facial lines and wrinkles (rhytides) and skin pigmentation associated with photo-aging. To understand how PSR works a basic understanding of skin structure is required. Briefly, skin consists of 3 layers, the epidermis (uppermost layer), dermis (mid-lay) and subcutis (lower fat layer). The epidermis contains pigment-producing cells called melanocytes, which are responsible for skin coloring. The dermis is made up of collagen and elastin fibers that provide skin with strength, toughness, elasticity and pliability. 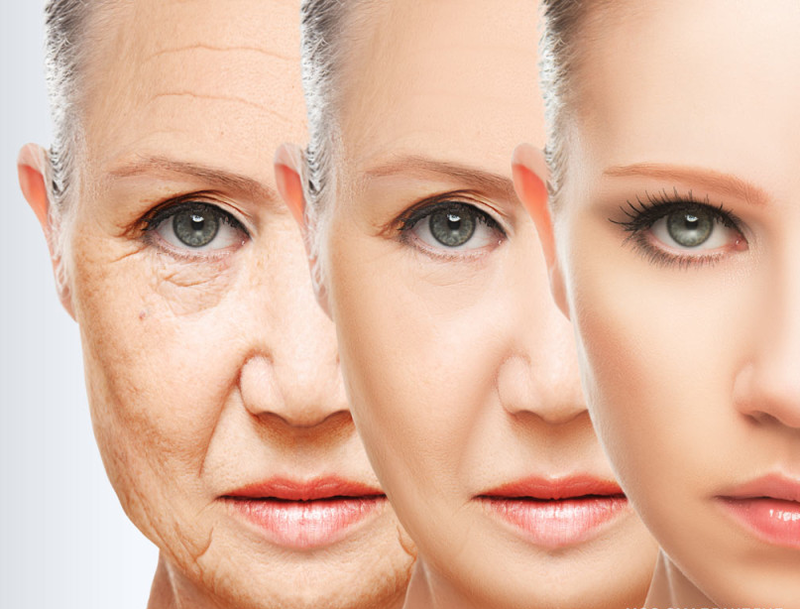 As the body ages, the appearance and characteristics of the skin alter. The epidermis becomes thinner so blemishes become more visible, and collagen in the dermis is gradually lost which contributes to the formation of facial lines, sagging skin and wrinkles. Platelet Rich Plasma (PRP) therapy it’s a revolutionary repair system that places growth factors in the exact location where we want the skin to repair and rejuvenate itself. The treatment involves harvesting platelets from the patient’s own blood in order to inject them into problem skin areas. Platelets contain a high content of “growth factors” – proteins that help to heal injured tissue or damaged skin. Upon re-injection the platelets release their growth factors which trigger surrounding cells to proliferate, in turn stimulating repair, increasing volume and rejuvenating the skin. Platelet Rich Plasma Therapy can be used to treat numerous cosmetic problems, such as fine lines and wrinkles or creepy skin around the mouth and nose, crow’s feet around the eyes and mild drooping or sagging skin around the eyes or on the cheeks and to stimulate hair regrowth. PRP therapy can also be used to improve the appearance of dehydrated or mildly sagging skin on the backs of the hands, on the tops of the feet, elbows and knees. It can be used all over the body.